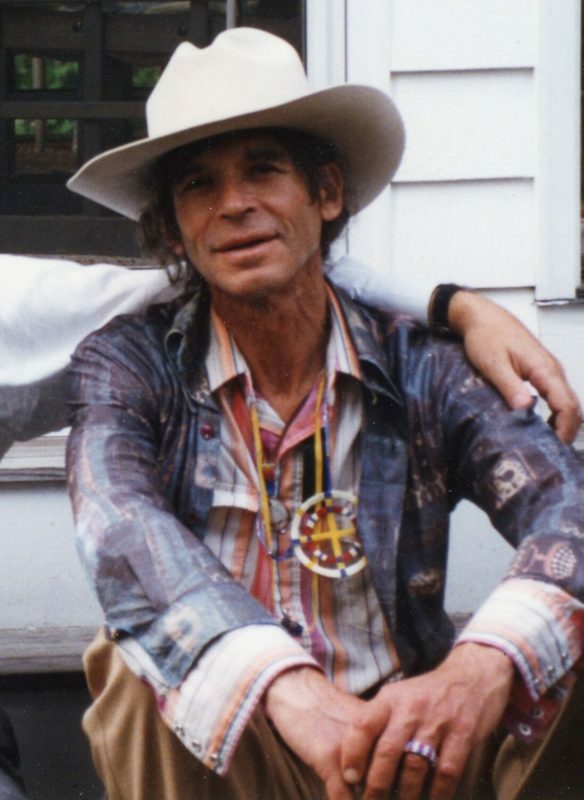 Today we want to celebrate the construction and near completion of the Paul Radin Memorial Dream wagon. 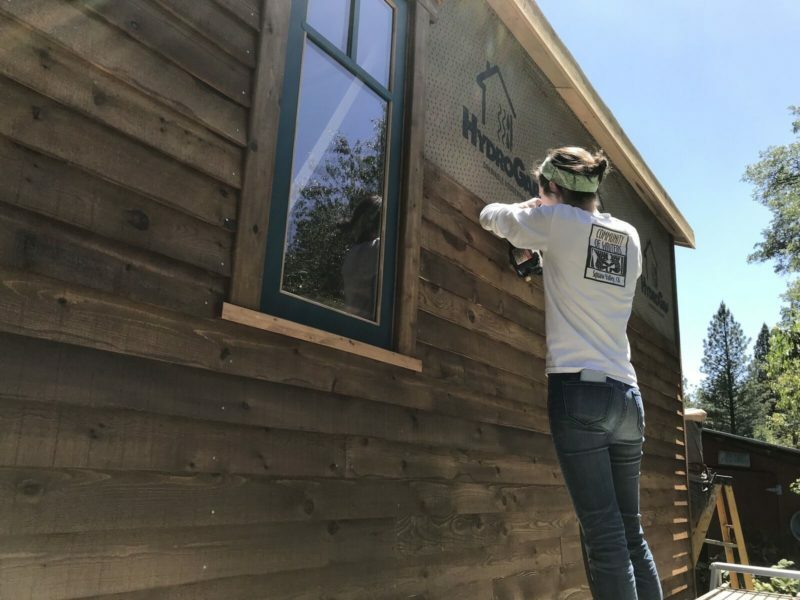 Construction started in early 2018, but months of planning, researching and fundraising came first. Please scroll down and see the dozens of photos we’ve posted. We will take you from initial planning to the finished project. 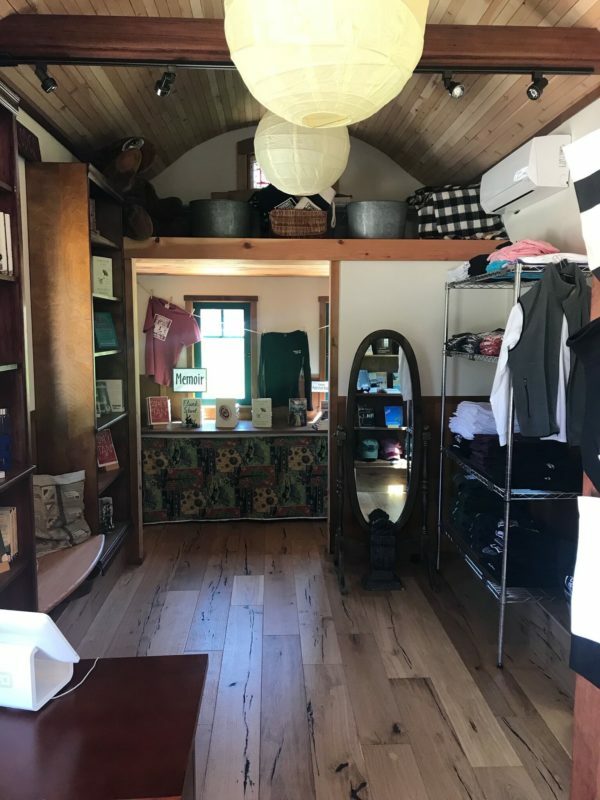 An homage to our neighbor, the late Paul Radin, this Tiny House on wheels offered a practical answer to the problem of limited space and time constraints for a bookstore in the Valley. 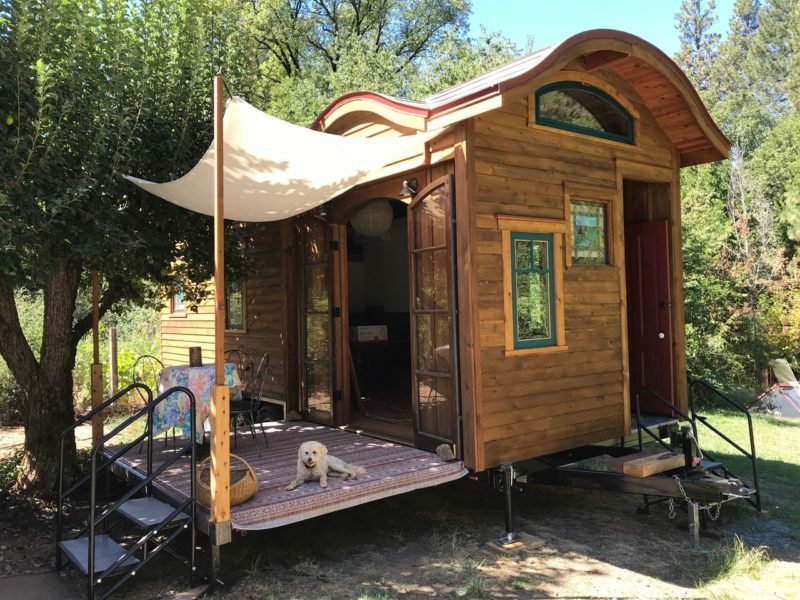 The Dream Wagon is a multipurpose tiny house on wheels. It is hard to believe we actually accomplished this project in so little time, and the endeavor was a delightful project once we saw clearly how to make it happen. 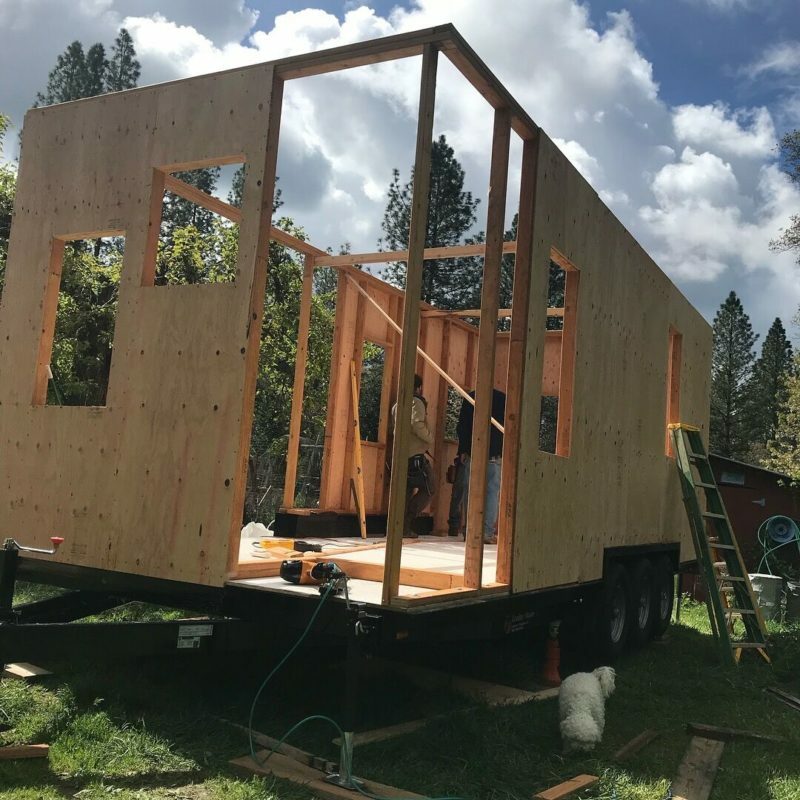 The Dream Wagon had its debut during the workshops last summer, and even in its not-quite-finished state, it was a success in every way. As a bookstore and as a stage for our readers and performers, it met and exceeded all our expectations. 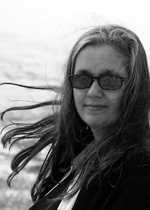 Imagine our authors giving readings from the stage. Then, when the reading is over, the audience can move inside to purchase that author’s book. After the summer, it arrived back in Nevada City where it was settled under the canopy of a pear tree. Each fall it will serve as our headquarters until next spring when it will be towed to the Valley again. We’re deeply grateful to everyone who contributed to its creation, whether with donations, labor, advice or materials. Now that it is (mostly) complete, we’re proud to show it off. The process of inventing and bringing it to fruition was risky, stressful, and deeply satisfying. 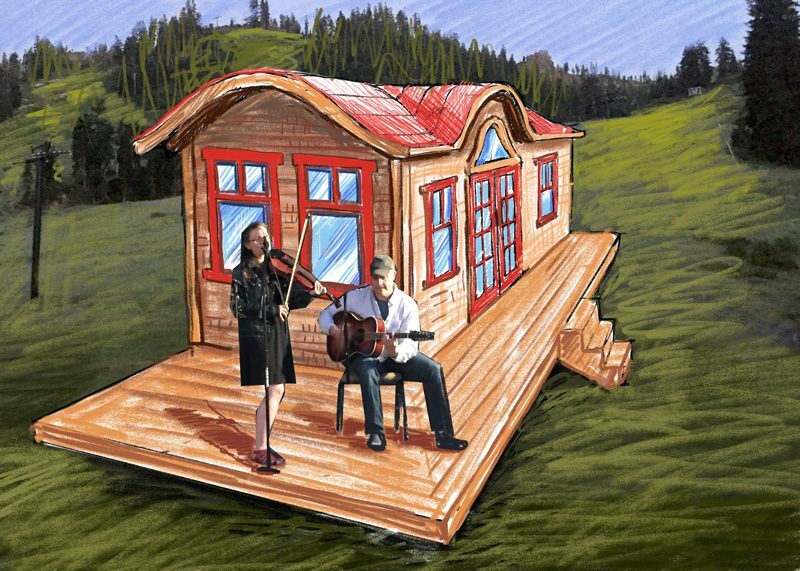 It responds to a long-standing need for a moveable office, archives, and bookstore space. 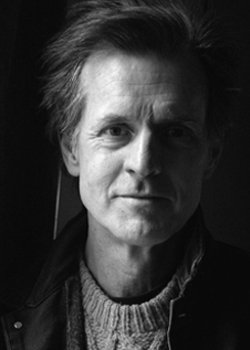 It helps us look to the future as a charming and unforgettable evocation of our place in the writing world. 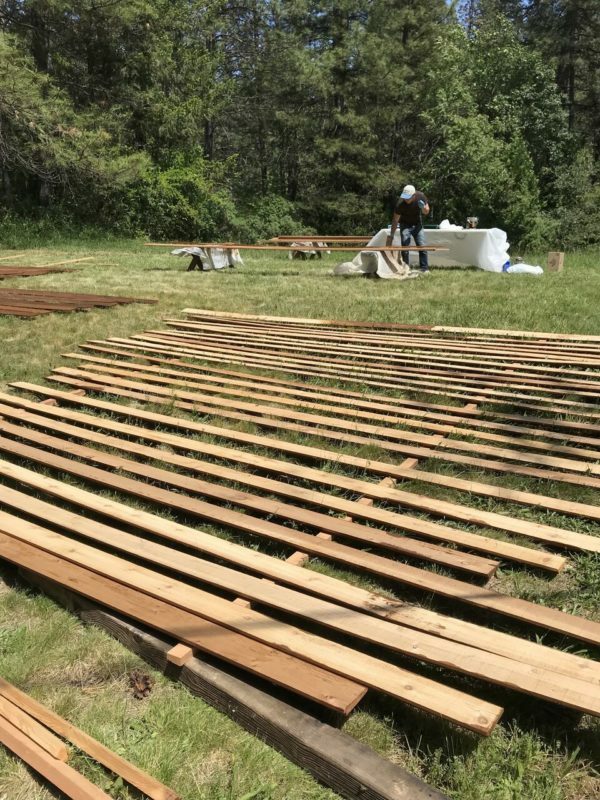 Scroll down to see pictures of the construction process and join us on our journey! 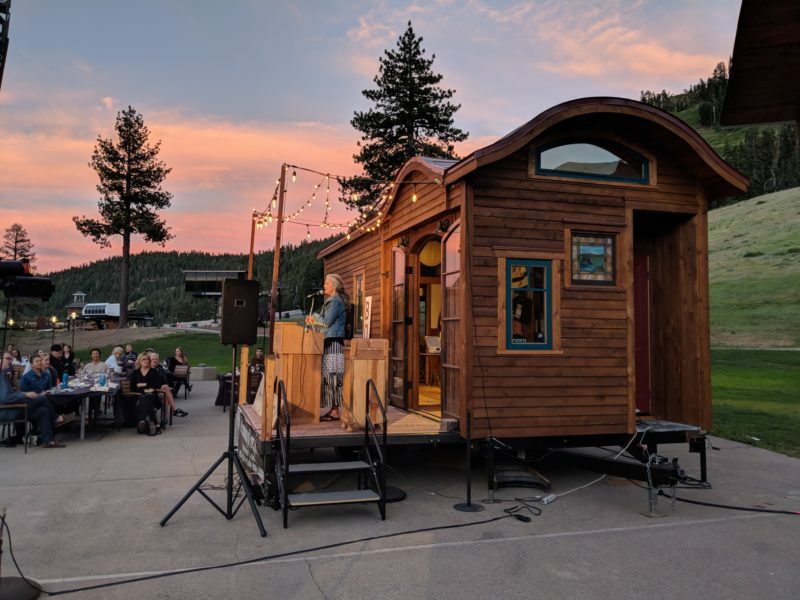 When he died in 2005, Paul Radin left to the Community of Writers a small box of books labeled “Paul Radin Library.” Now, in his honor, the Community has dedicated a mobile bookstore, office and library in his name. 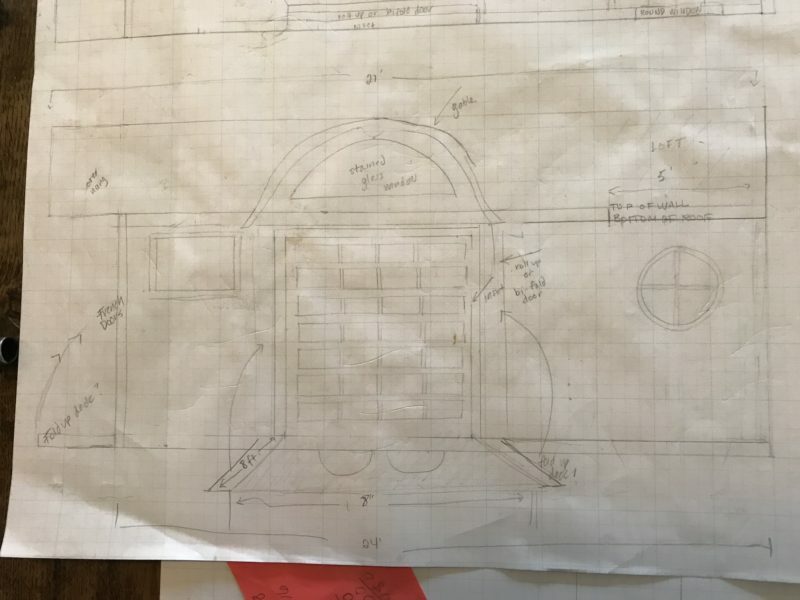 Lots of planning went into the Dream Wagon. 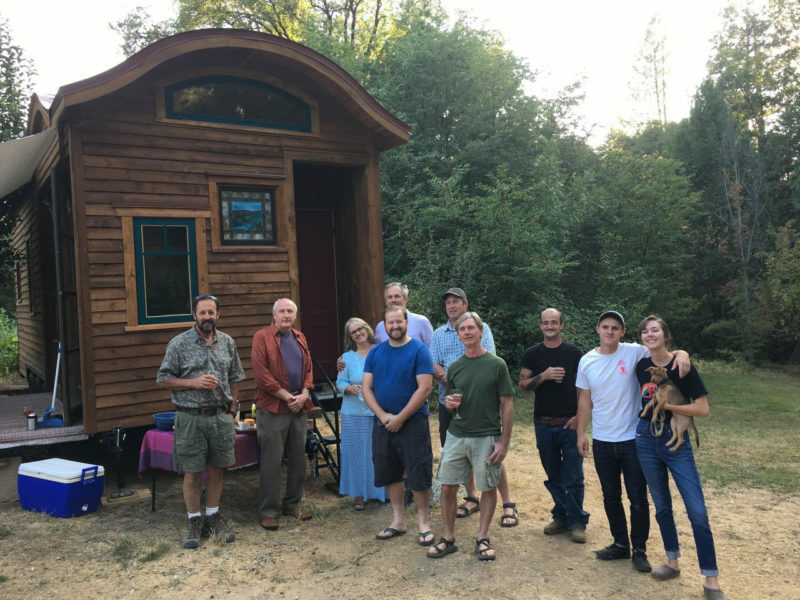 Brett visited several tiny houses and researched styles extensively, making sure this little dream wagon worked for a variety of purposes all year round. It was time to raise support for this project and we needed an image. Thanks to artist and writer Stephanie Taylor for this perfect imagining of the project. 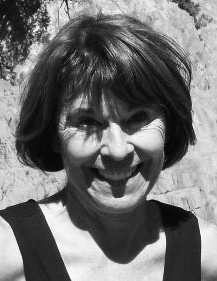 She even added staff writer Greg Spatz and his wife Caridwen. 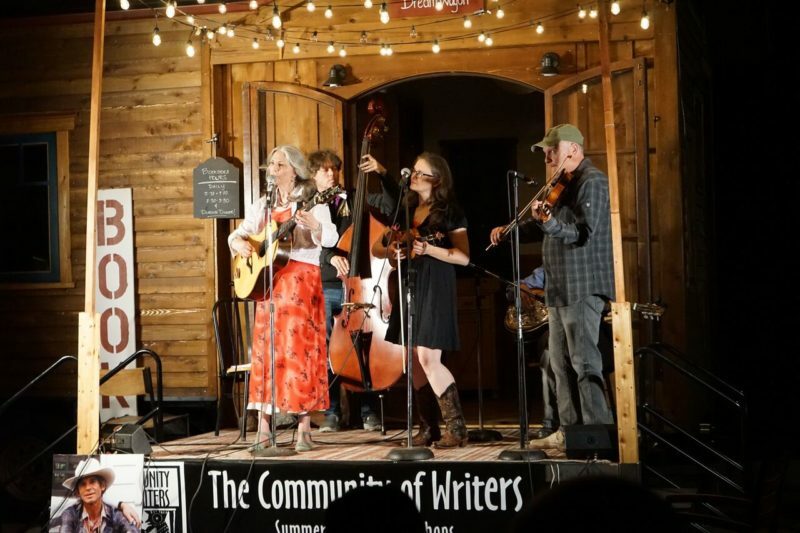 Those who have attended the Writers Workshops know what amazing musicians they are! 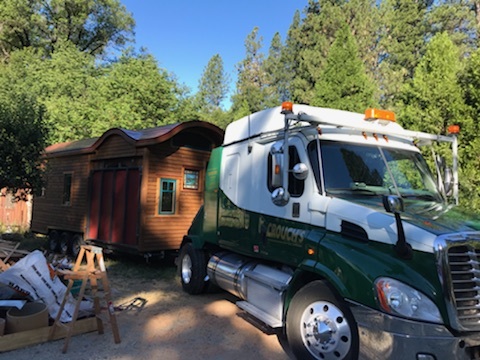 Most tiny houses sit on trailers with an 8 1/2 foot width, but given the many purposes of the Dream Wagon, we needed something wider, so we went with a trailer with a 10-foot width. 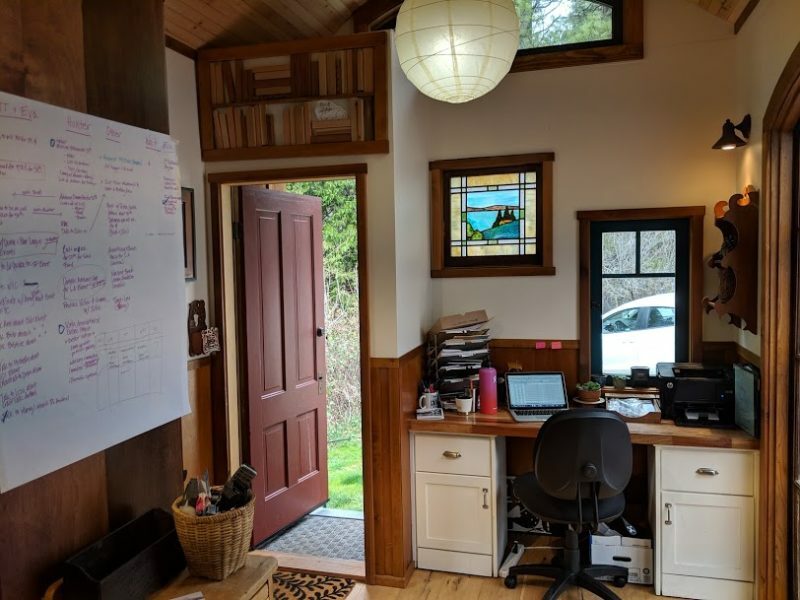 This allows more space for bookcases, desks and mobility in the tiny house. 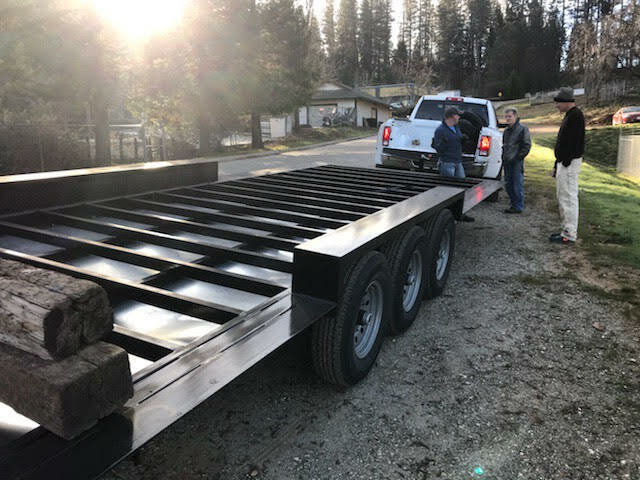 Damon at TrailerMade Trailers gave us a terrific discount in late 2017 and then delivered it to us. 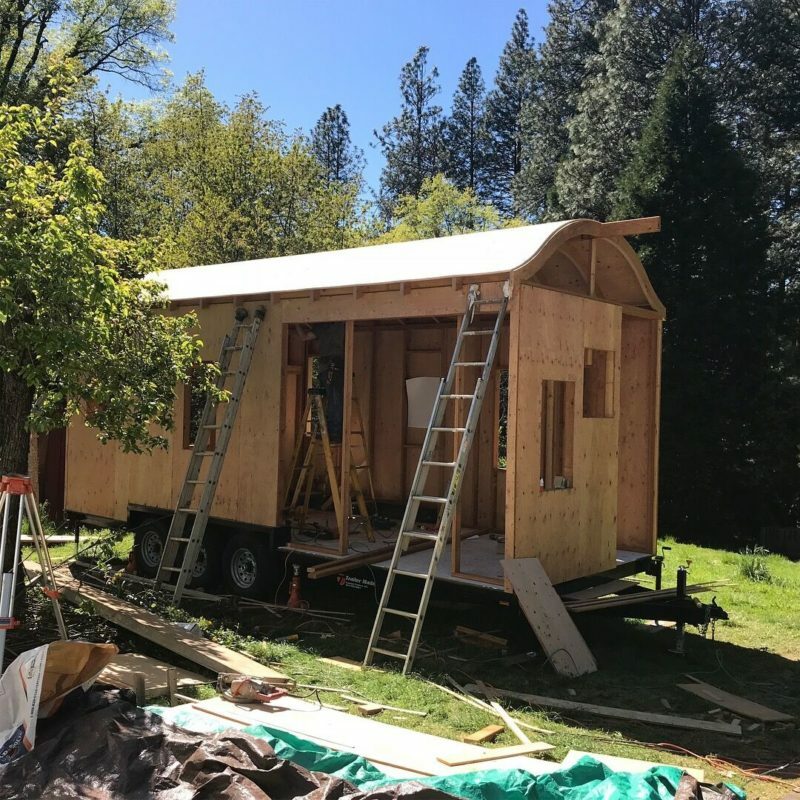 And here it is in place in Nevada City, the build site. 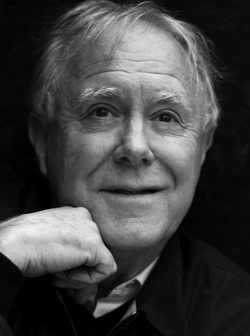 This photograph was taken January of 2018. 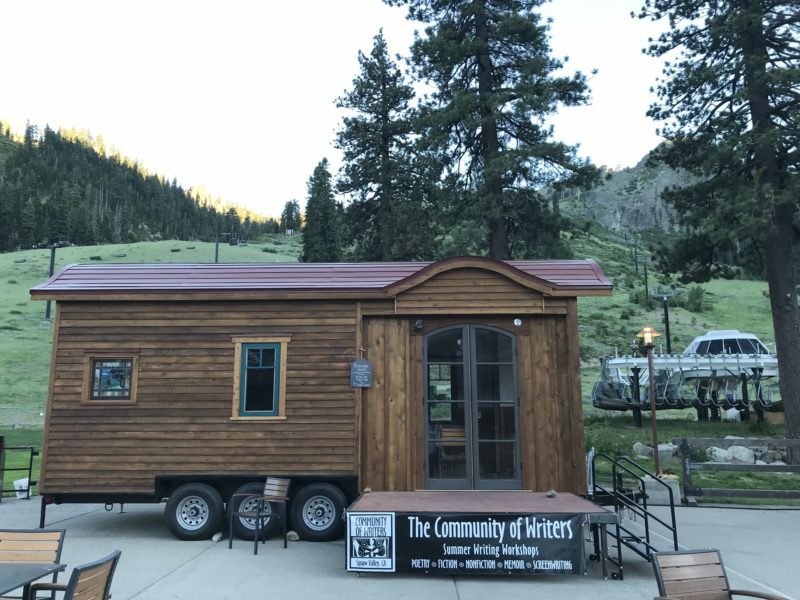 It would only be a few months before the tiny house made its debut at the 2018 session of the Community of Writers in Squaw Valley. 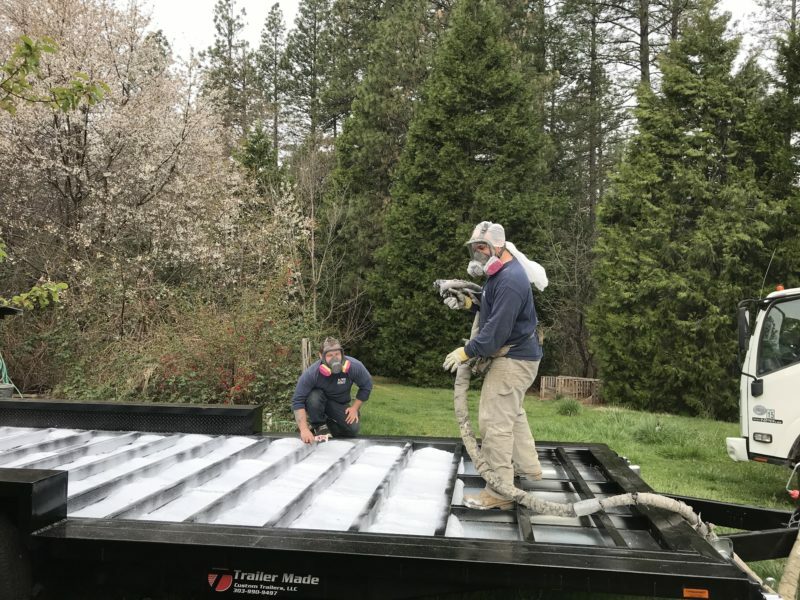 After leveling, spray foam insulation goes into the floor of the trailer. That stuff is expensive! With the floor down, the framing starts to go up. 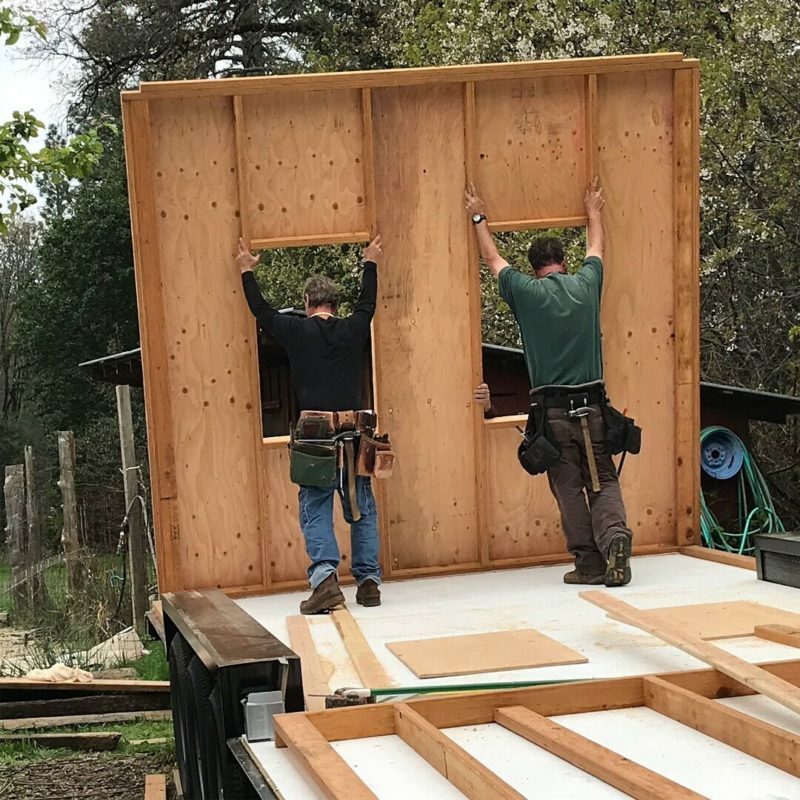 Journeymen Dave and Larry lift the inaugural wall. 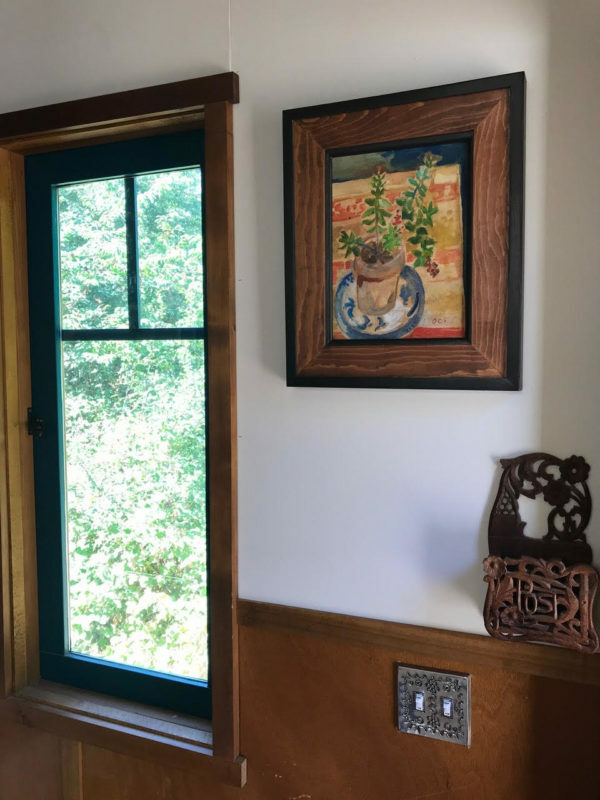 This will be the wall of Brett’s office in the tiny house with two windows looking out at the meadow and the garden. 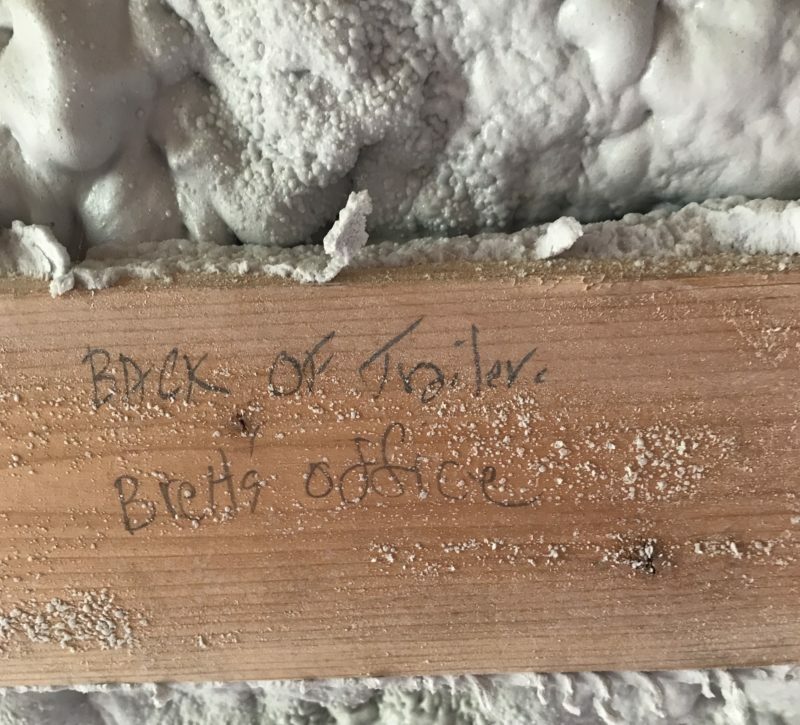 During framing, this is the board designated to be in the middle of the wall where Brett’s desk would sit. Starting to look like a house! A view of the rafters being installed. Another view of the rafters. It is coming together. 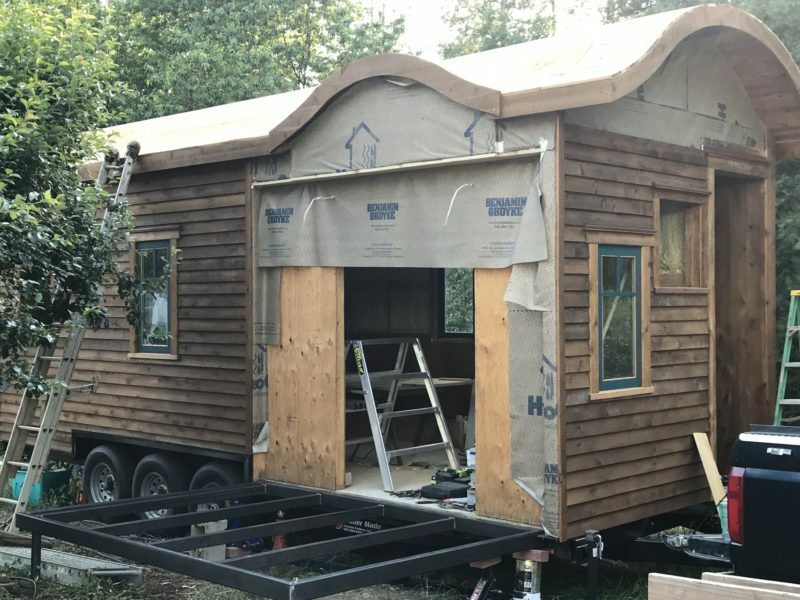 The unique curve of the roof was to evoke the traveling “caravan” or “vardo” without being too derivative. 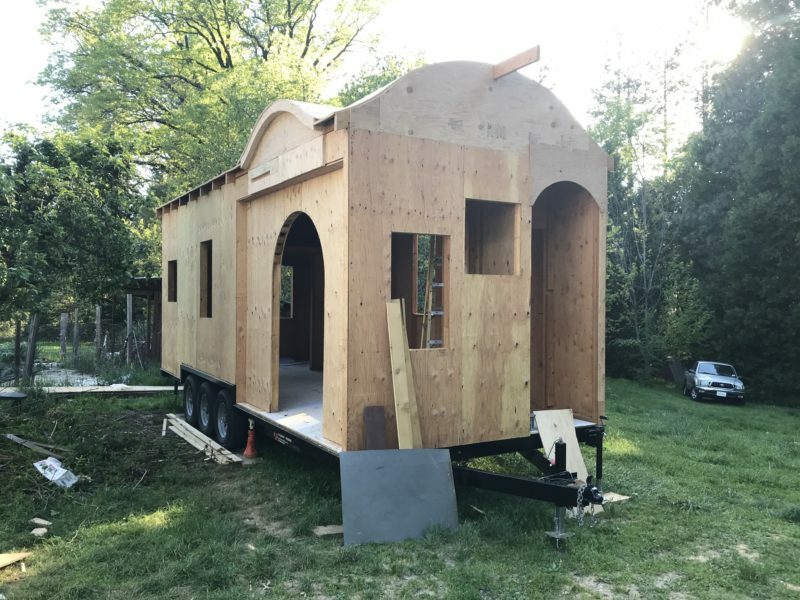 For a while the front door (right) was planned with a curved entryway, but the arch was later rejected to get the ‘staircase’ effect of the two windows and the door on the front of the tiny house. The archway on the side is for the french doors which will open up onto the fold-down deck/stage. This will allow conference participants to enter the bookshop interior. Stained glass windows. A Craigslist find. These were salvaged from a 1910 cottage in Berkeley. 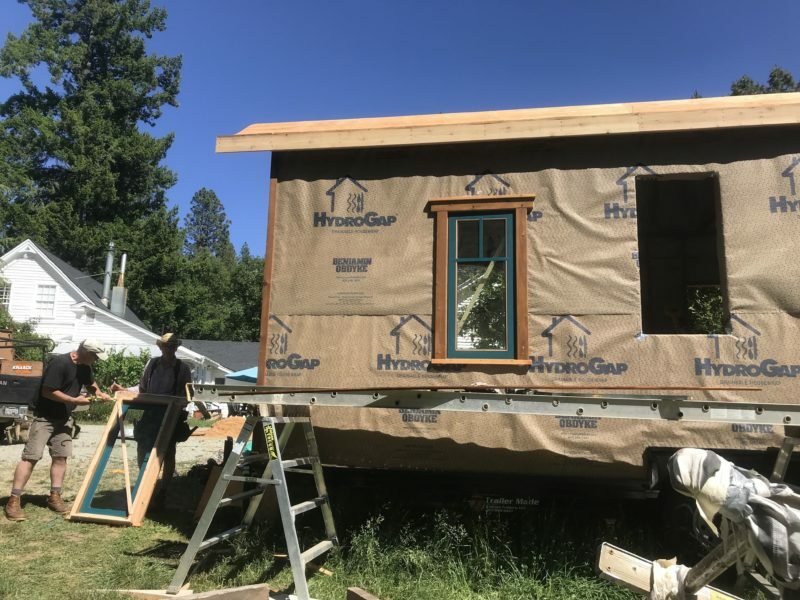 Hand-built windows arrived from Portland! 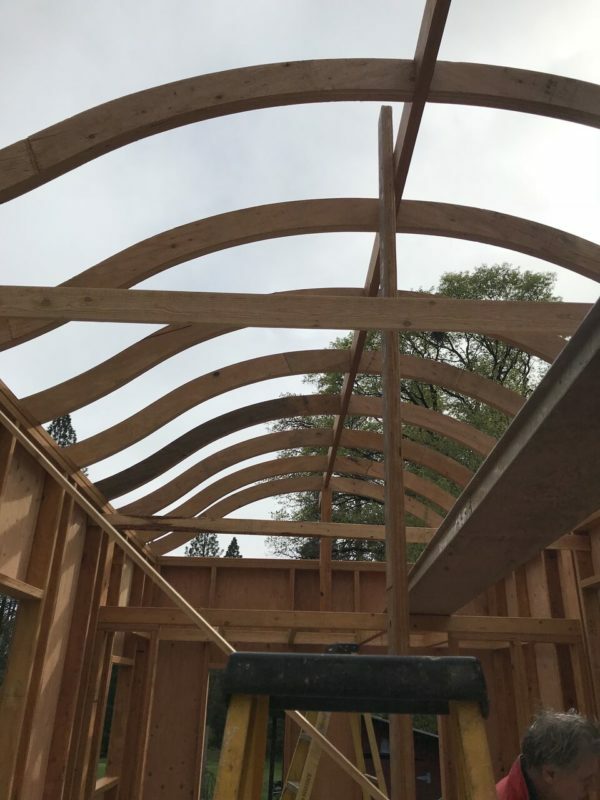 Single paned to avoid glass problems with moving the structure up over Donner Summit. 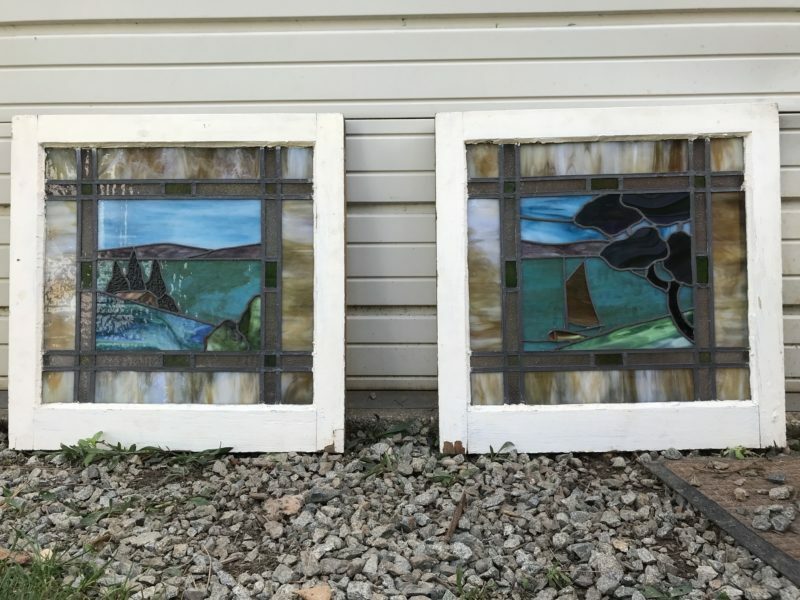 Carl Kagy of Designs for People made these by hand, and then, because he had other stops to make in California, delivered the windows himself. Spray foam insulation in, and the windows can be installed. 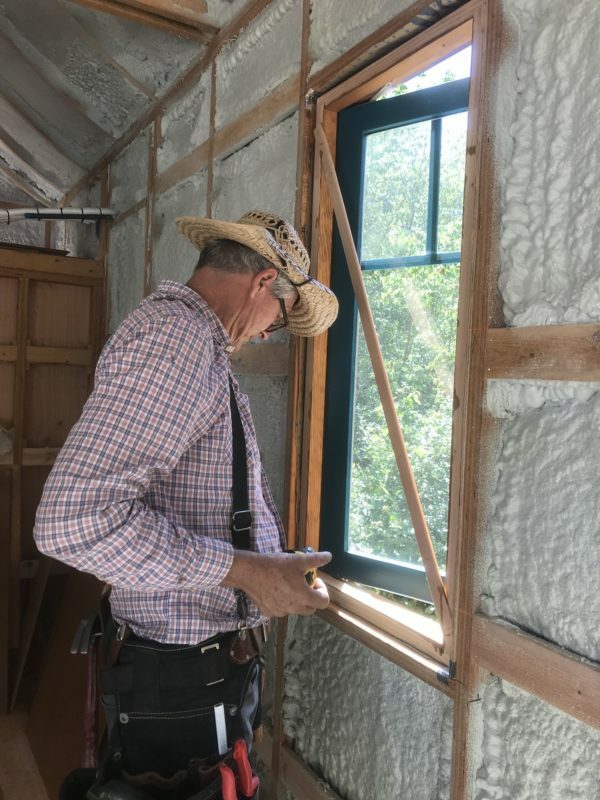 Here is our contractor, Jim, installing a window. 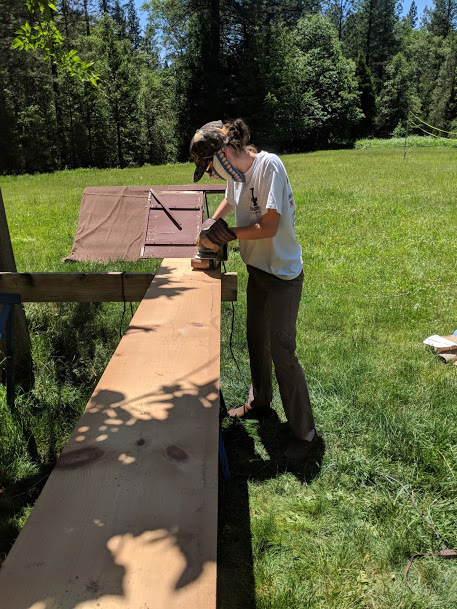 Hunter staining the cedar siding. 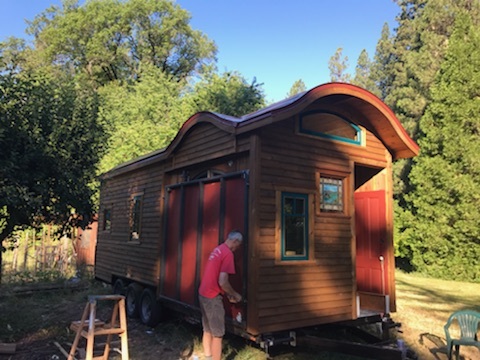 The siding is from local incense cedar trees and was milled in Nevada City and beveled on the spot. 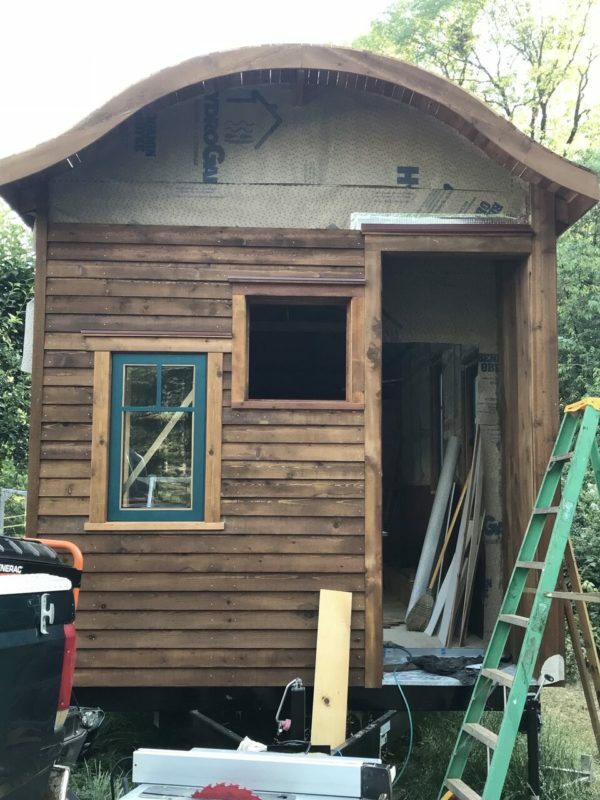 With the windows in and the siding stained, the exterior can start to come together. 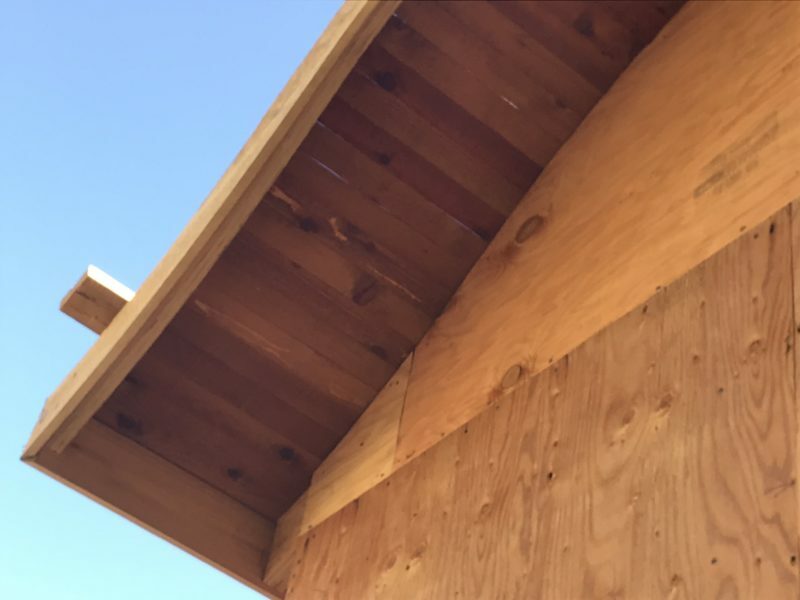 More cedar was used to follow the curvature of the roof on the front and back overhangs of the roof. It’s cut to 3 1/4″ strips to match what will be the interior ceiling boards. 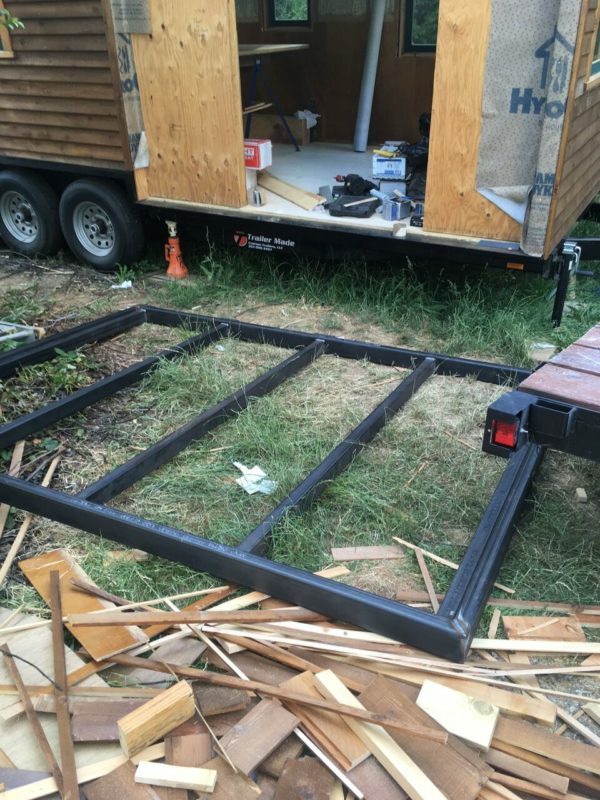 The deck/stage made by Preston Williams arrives. It weighs 500 pounds! Deck on! It will fold up for transport and cover the french doors. 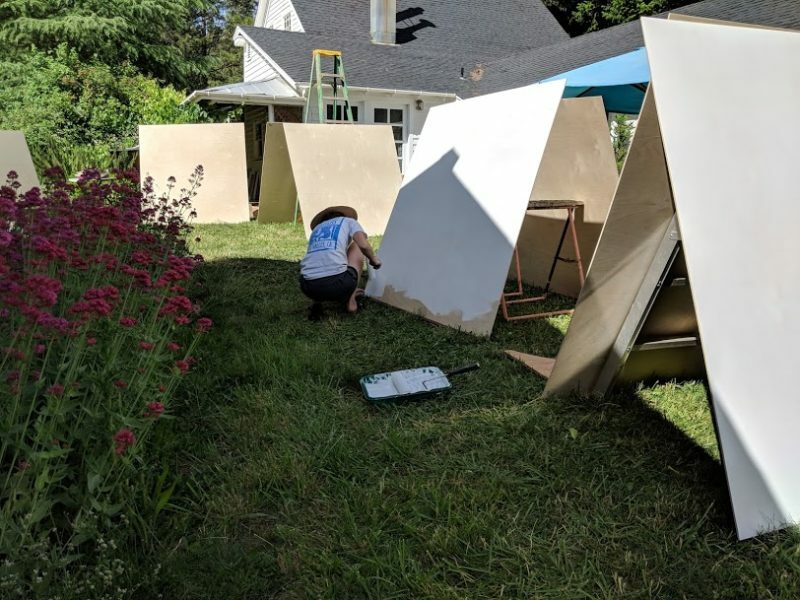 The platform will be made out of plywood sheets. 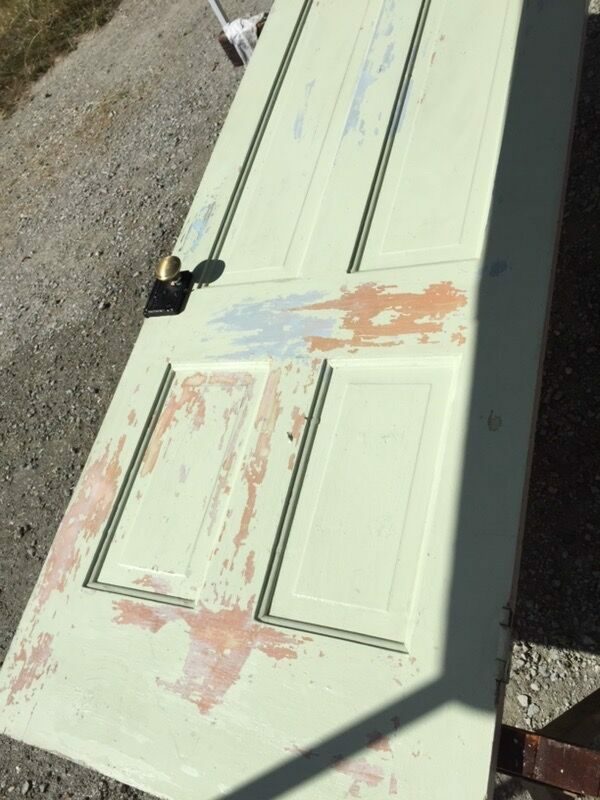 Reclaimed door for the entryway. 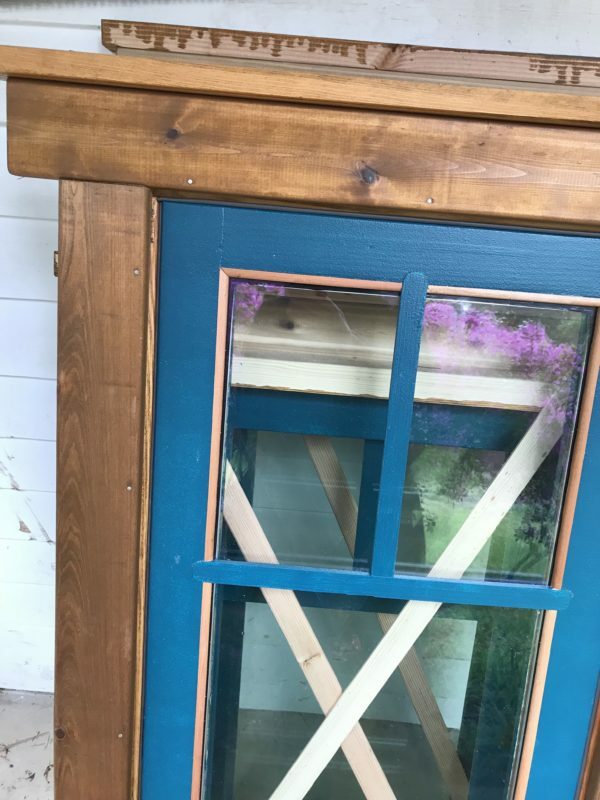 Siding on the front of the tiny house. On to the interior. Here’s Lindsey sanding down the salvaged boards that will compose the ceiling of Brett’s (under loft) office. She’s a scientist in real life. And priming the interior walls. 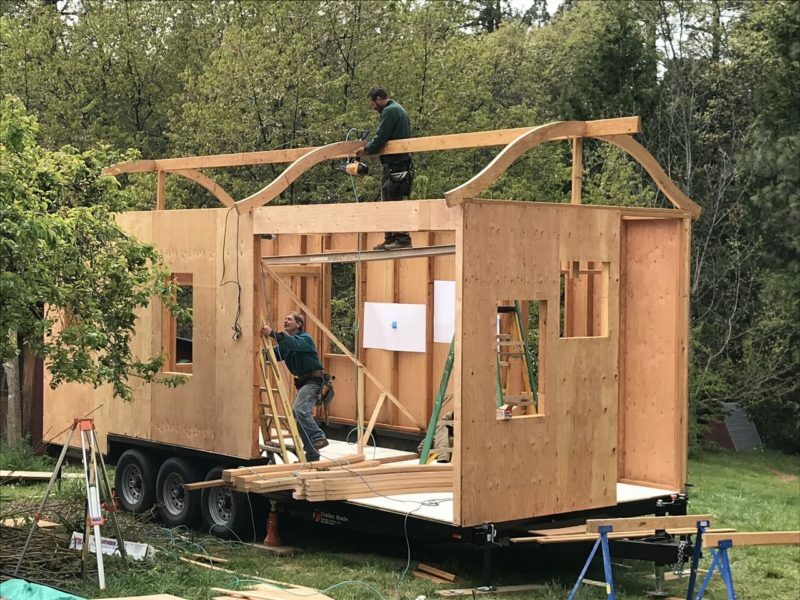 Because the tiny house has to move and flex in transport, drywall is too heavy and brittle to hold up. Auburn Hardwoods gave us a deal on these sheets of baltic birch plywood. It’s sturdy and lightweight. Here they are getting primed before they get installed. 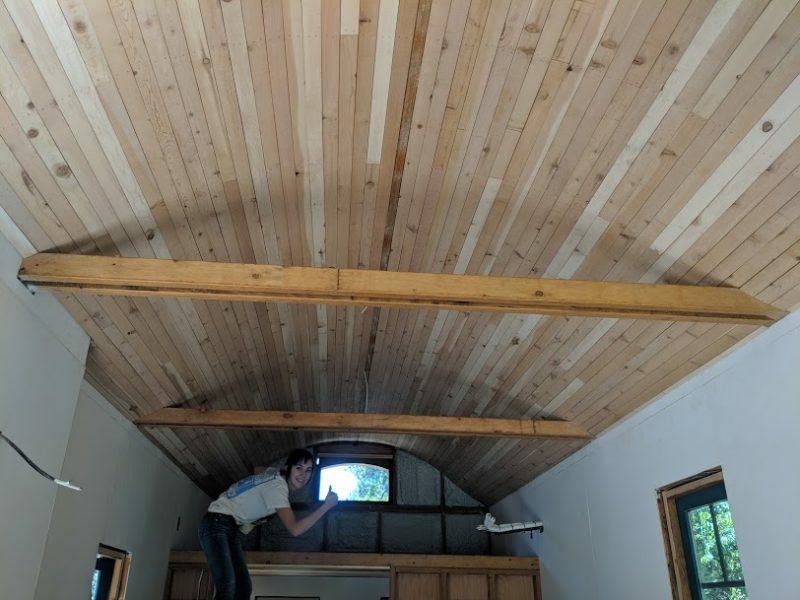 The ceiling is made from the remaining incense cedar used for the siding, cut to 3 1/4″ width to match the curvature of the roofline. This was a beast to install for Hunter and Lindsey who weren’t sure it would ever end. Days of holding board after board above their heads and checking and rechecking for straightness. They did it! Ceiling done! Over time the cedar will deepen in color. And now that the floors are in, bookcases can be installed. 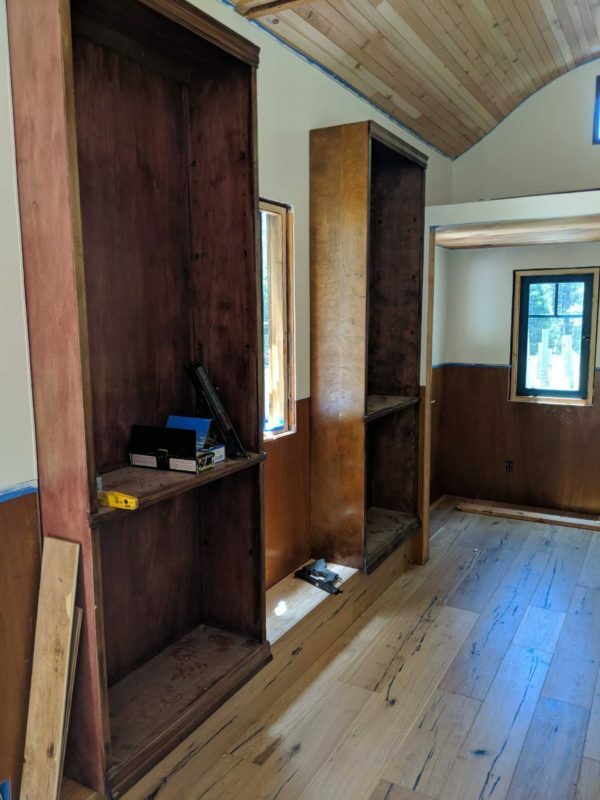 More Craigslist bargains: The four bookcases were $100 for the four; the mahogany wainscoting was torn out of a 1950s Eichler home in Marin County. 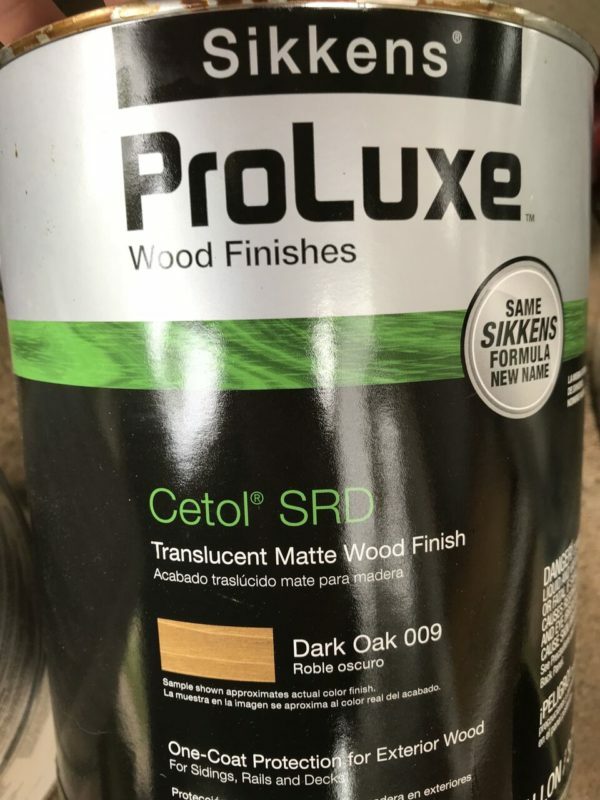 All the wood was $35. 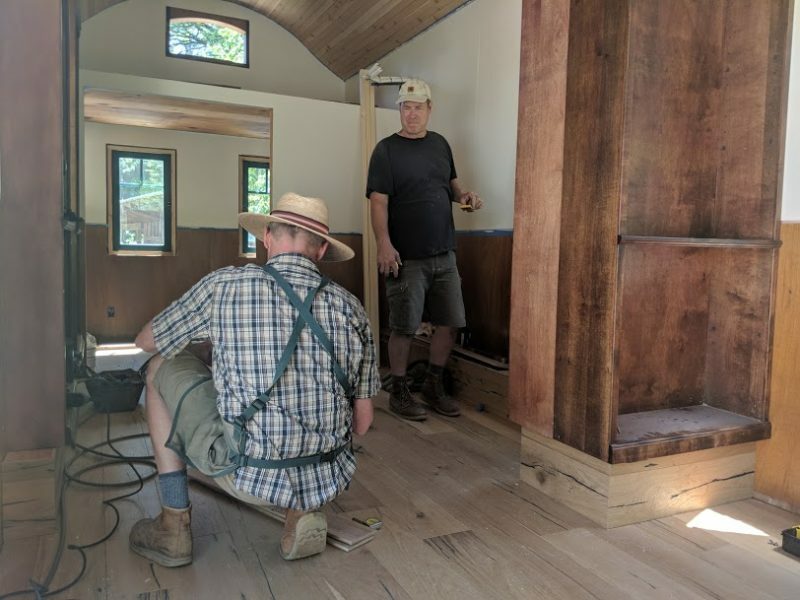 Jim and Mike installing bookcases. Dealing with the trailer wheel wells took some creativity. 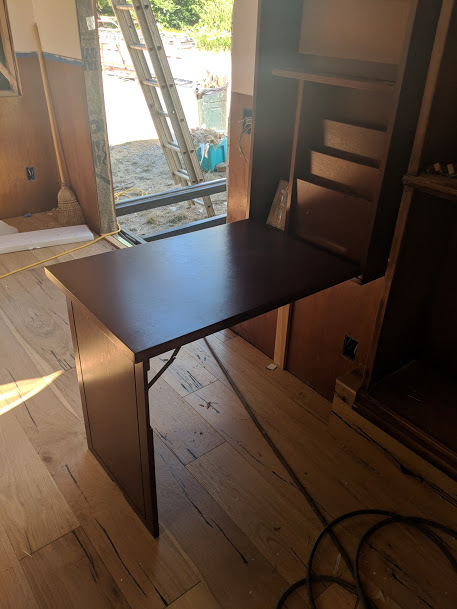 This fold-down desk will serve as the pedestal for the cash register in the summers, and can fold up into the wall for transport. 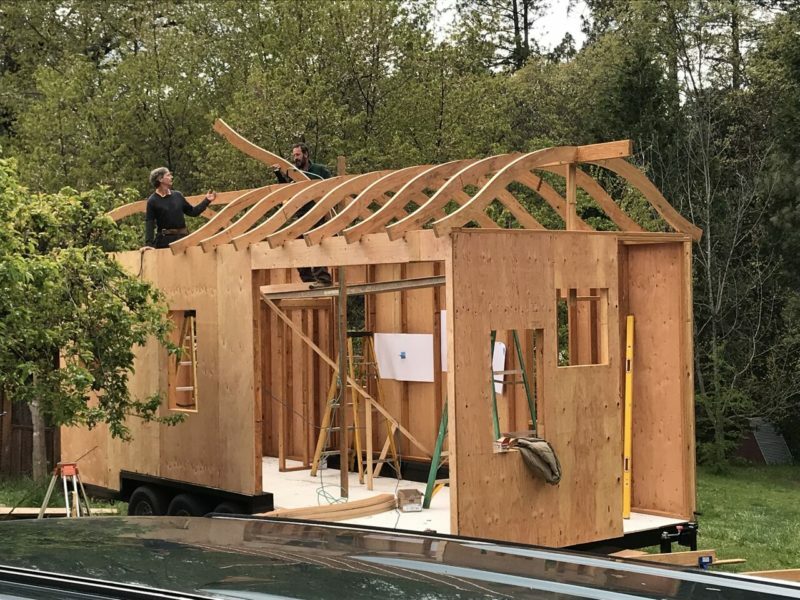 Time for the roof! Here’s the roofer, Andy Roberts, rolling the sheets on the spot. By this time everyone was rushing to finish. Brett and most of the rest of us had already gone up to Squaw Valley to set up the office and workshop spaces for the workshops. Jim was under great pressure to get the project done in time for the Poetry week. Long hours were worked to make that happen! 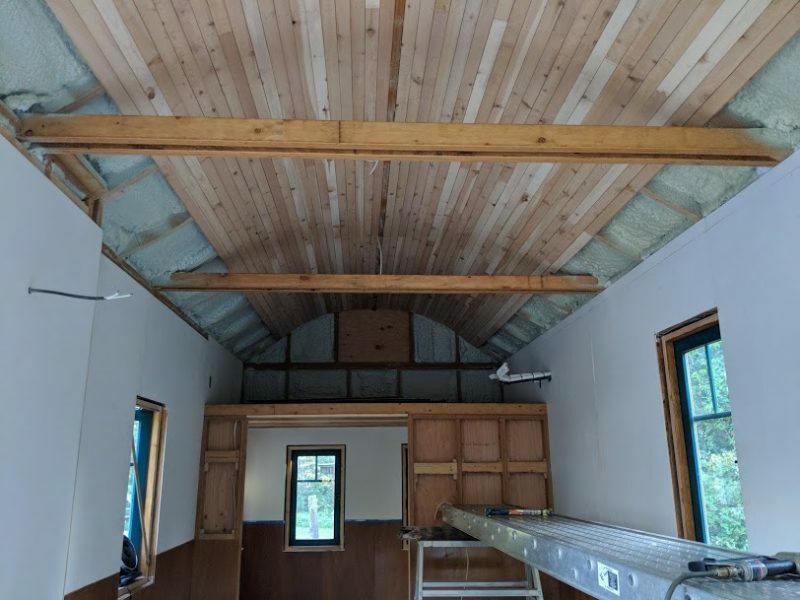 The stained-glass windows are in, the roof is installed, the interior trim and beams completed, the stage and door installed and painted. 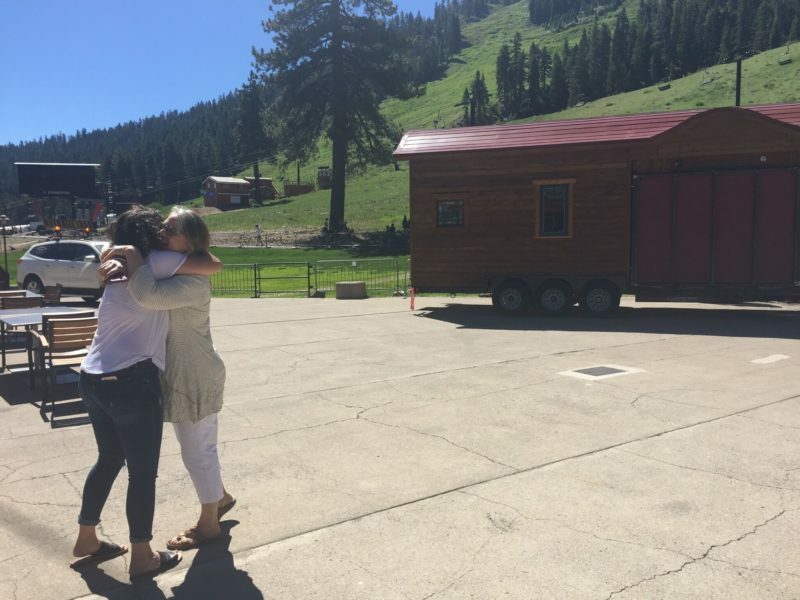 Eva stayed behind to monitor the packing up of the tiny house interior and to give it blessings on its voyage. 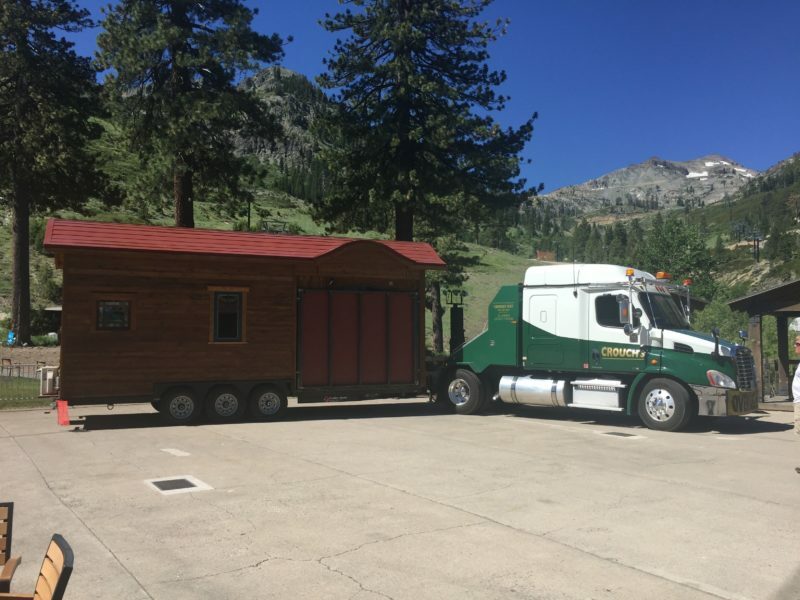 Everyone besides our trucker, Dan Crouch, was nervous about the tiny house’s trip. His truck was a bit larger than necessary, but we were grateful for his confidence and experience. 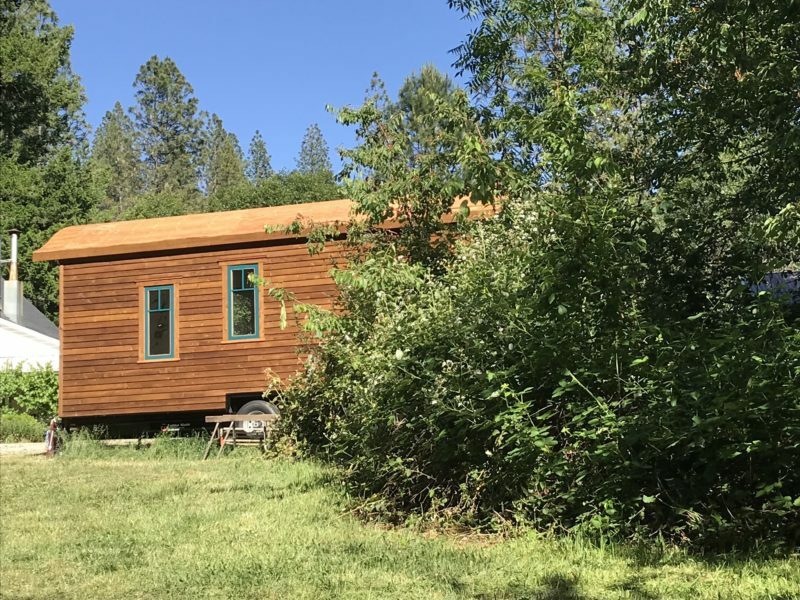 It’s only a 50-minute drive from Nevada City to Squaw Valley, but it’s a 4,000-foot ascent on narrow, curvy state highway 20, with a steep cliff off to the right (the side of the tiny house with the 500 pound deck attached to it). Then there’s a long stretch of interstate 80 over Donner Summit, where the truck chains in winter create deep ruts that could vibrate the hardware right out of windows and doors. Imagine building a house and immediately putting it through a tornado and an earthquake. Luckily the ride up wasn’t nearly as perilous as we had all imagined. Here it is an hour later in position, with the deck folded up over the french doors. Everyone was exhausted and relieved. Tears of joy shed. It is so beautiful! In position next to a ski lift in Squaw Valley. Many thanks to Brad Barth, Adam Feehan and Tom Kelly of Squaw Valley/Alpine Meadows for making this possible. Special thanks to Jim Seely, the contractor on the project, who worked tirelessly to get this project finished in time for the conference. He was the core of this project and without him it wouldn’t have been so beautiful. Here is Brett and Jim celebrating the Dream Wagon at the base of the mountain. Elves setting up the interior. This was Eva’s first time running the bookshop. The first thing that she had to do was clean the construction dust and dirt from the inside! 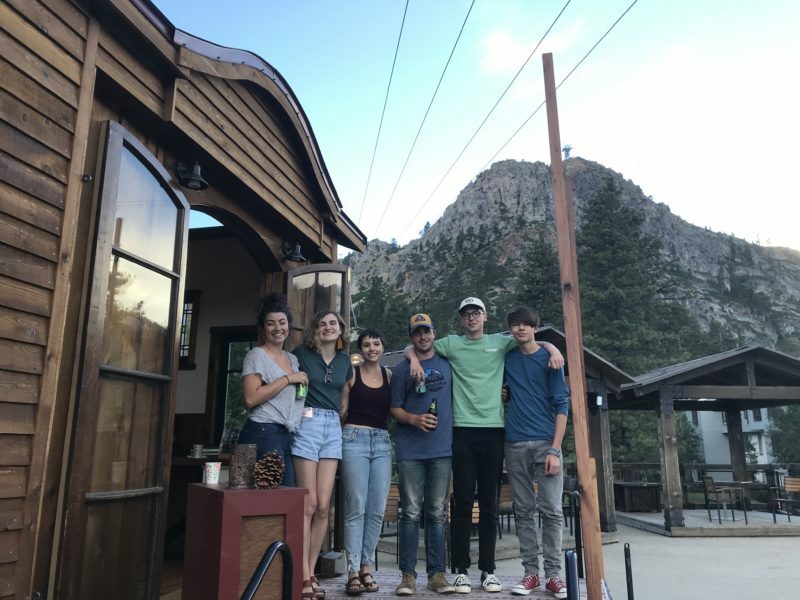 Jack Norman, Lindsey Gordon, Hunter Jones, Eva Melas and Livia Keene. Livia sold books during the conference. Eva Melas and the fabulous elves: Hannah Casey, Livia Keene, Jesse Bedayn, Jack Norman and Louis Tonkovich. 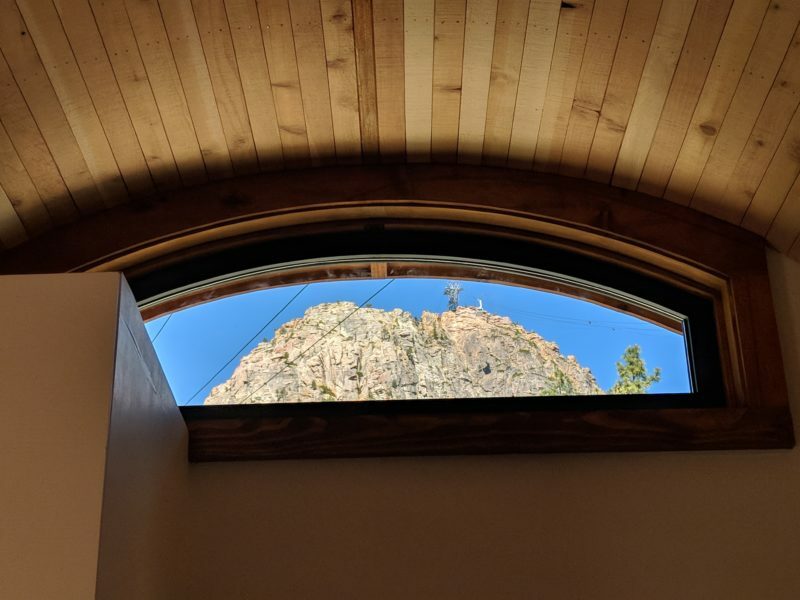 With a perfect view of the mountain. And a wonderful bookstore. Eva and the Elves set this up in a matter of hours. The loft provides plenty of storage for extra bookstore inventory. We still haven’t designed or built the loft ladder. That should be done by June. Painting donated by long-time former staff-member, Olga Carlisle. 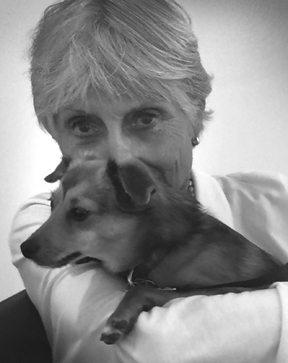 Besides being a prolific memoirist, she is a wonderful painter. 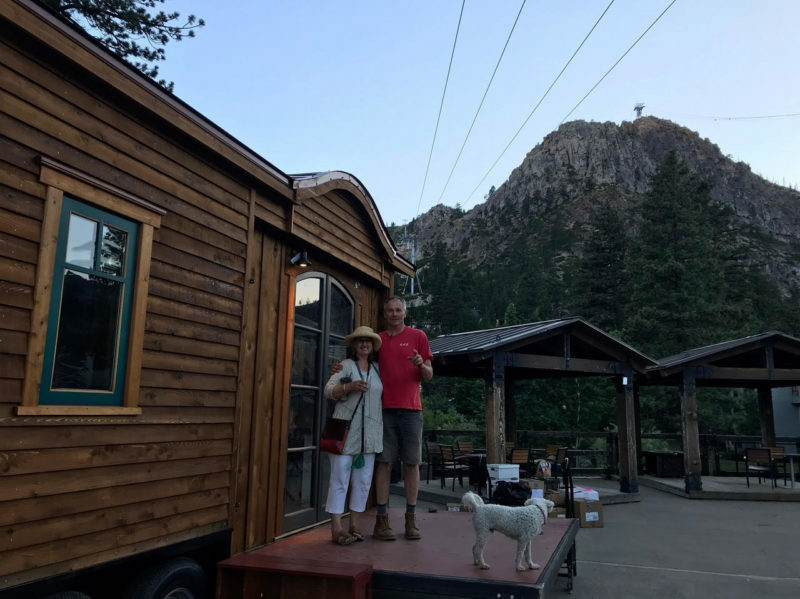 Thanks to Board Member and Nonfiction Director (and her son) Michael Carlisle for hand-delivering it to the Dream Wagon. We love it. Sands Hall on stage during the Writers Workshops. 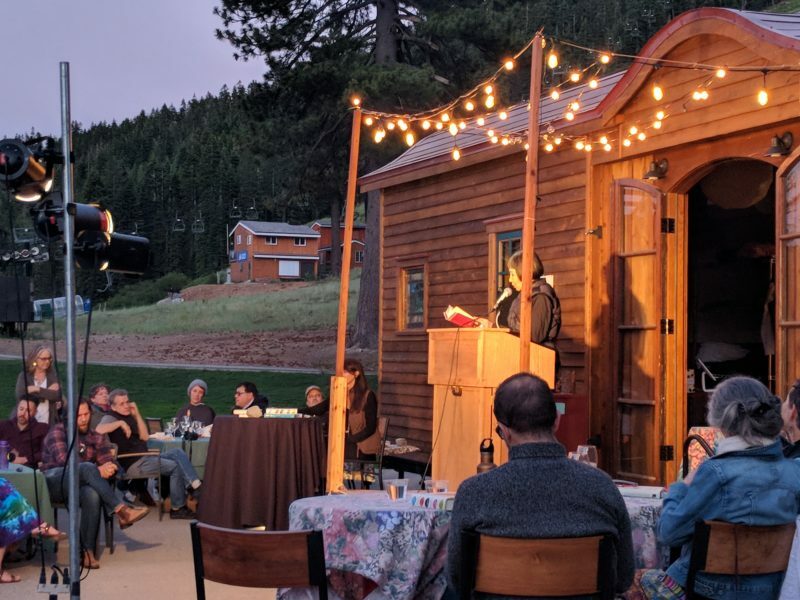 To sit in the audience in Squaw Valley with the day transitioning to dusk, and to see our staff writers read from the stage as the landscape changed character with the setting sun, was deeply moving. 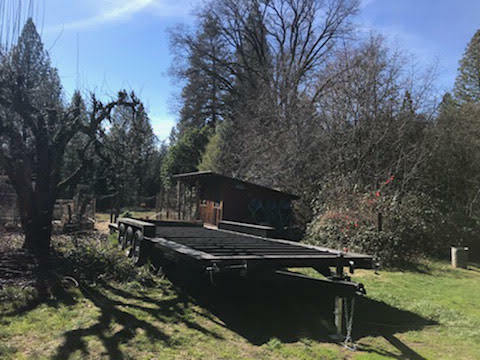 This wagon is wonderfully emblematic of the ethos and spirit of this transient, yet half-century-enduring community, as well as the man whose legacy inspired it. Amy Tan reading from the stage. 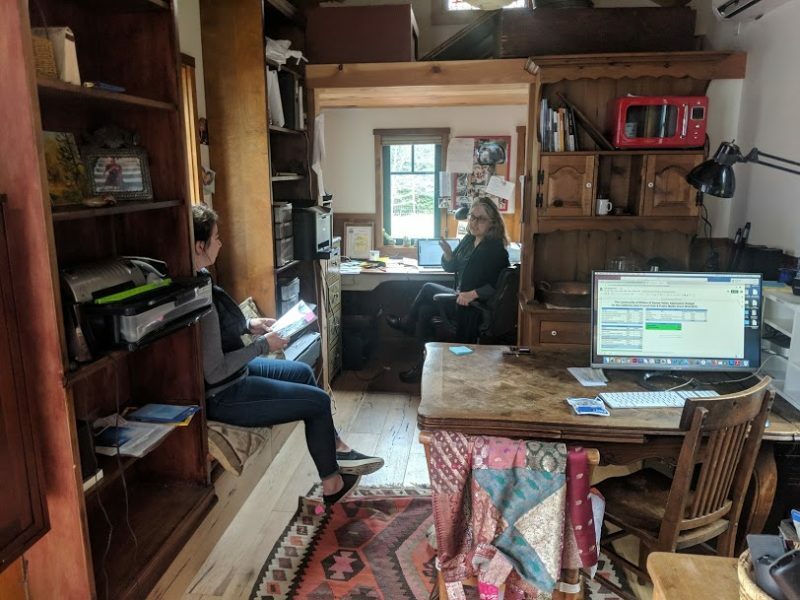 Wonderful Board Member Carlin Naify with the help of CapRadio’s Beth Ruyak hold an impromptu fundraiser to fund some of the final expenses of the project. Thanks to all of you who gave! 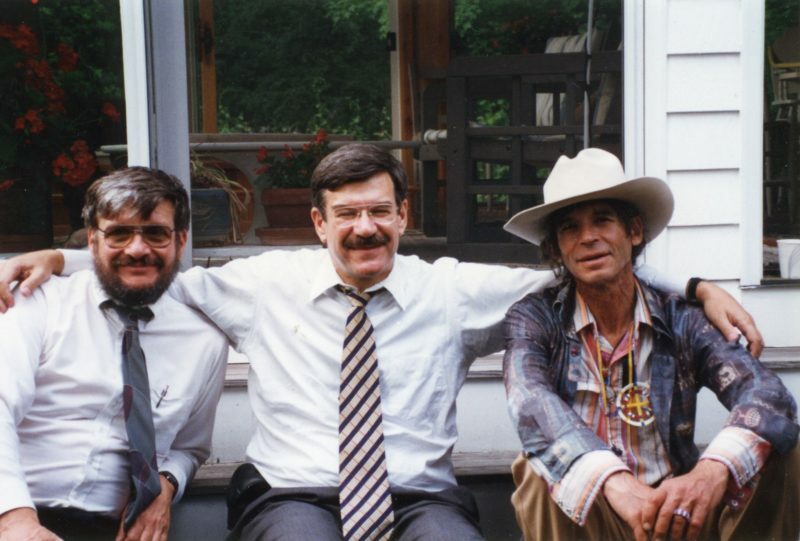 David Radin (left), Robin Radin, (center), and Paul Radin himself. 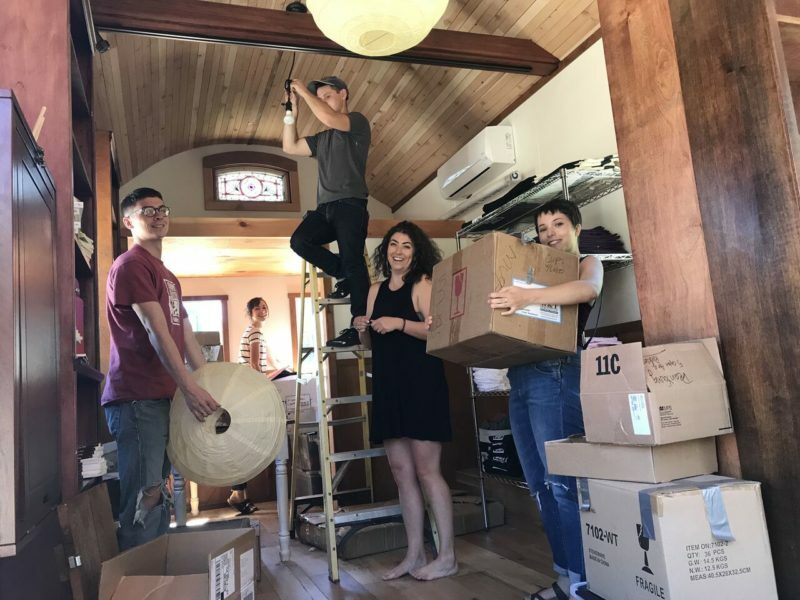 All of our love and gratitude to the Radin family for spearheading this incredible endeavor. The Dream Wagon wouldn’t exist without you. And thanks to all who donated or helped to make this dream a reality. We designed the Dream Wagon in the spirit of Paul (right). 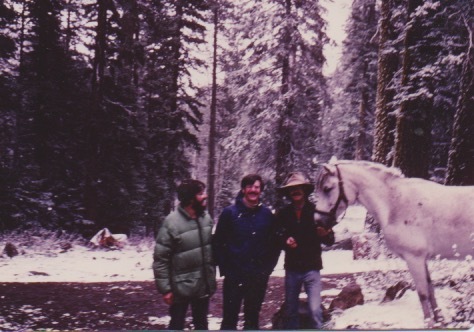 Pictured here with his brothers, Paul was a wild man, an intellectual, a poet and a traveler. 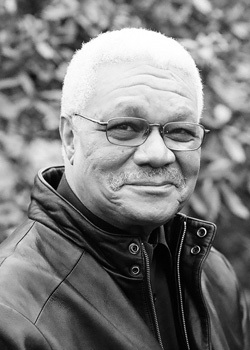 He attended the very first Community of Writers using his guitar as a deposit. 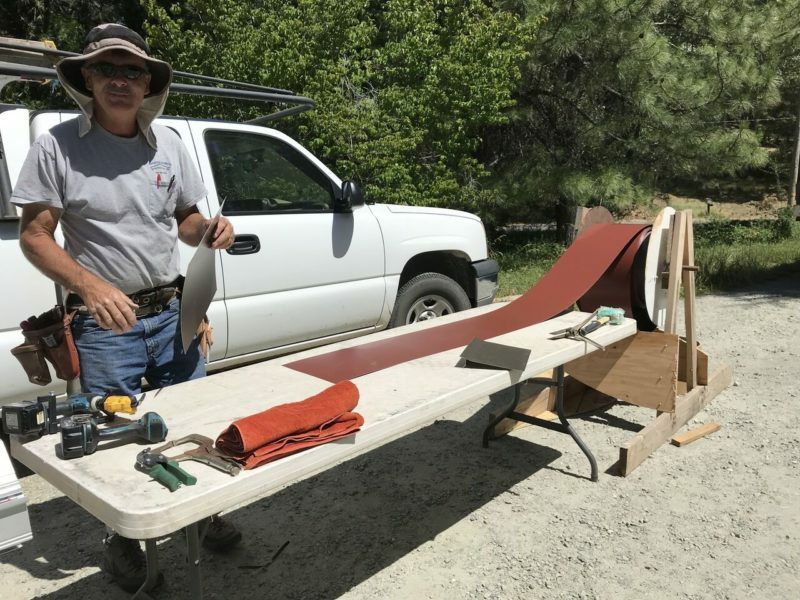 Riding Zumgali over from his place in Ramparts on the Truckee River each year to visit the workshops, he found a seasonal home in our community. Now he’ll always have one. 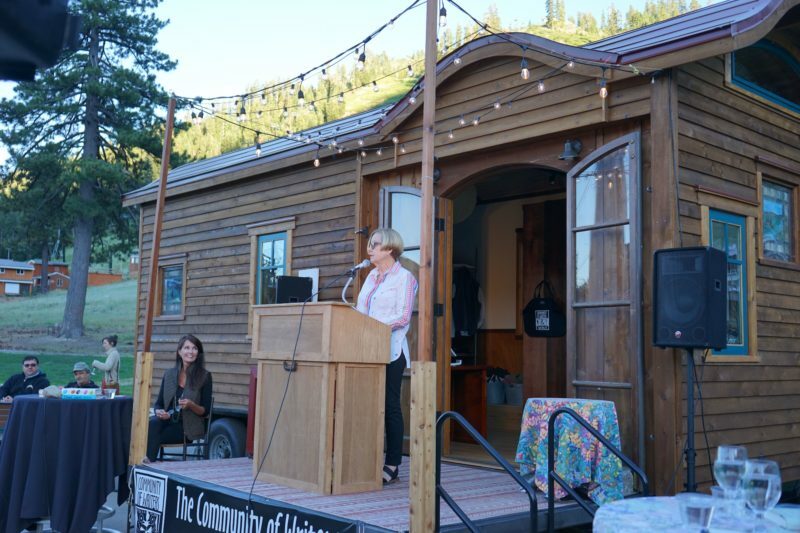 Robin Radin at the dedication of the Paul Radin Memorial Dream Wagon with Brett looking on. Members of the Radin family traveled from all over the country to attend. 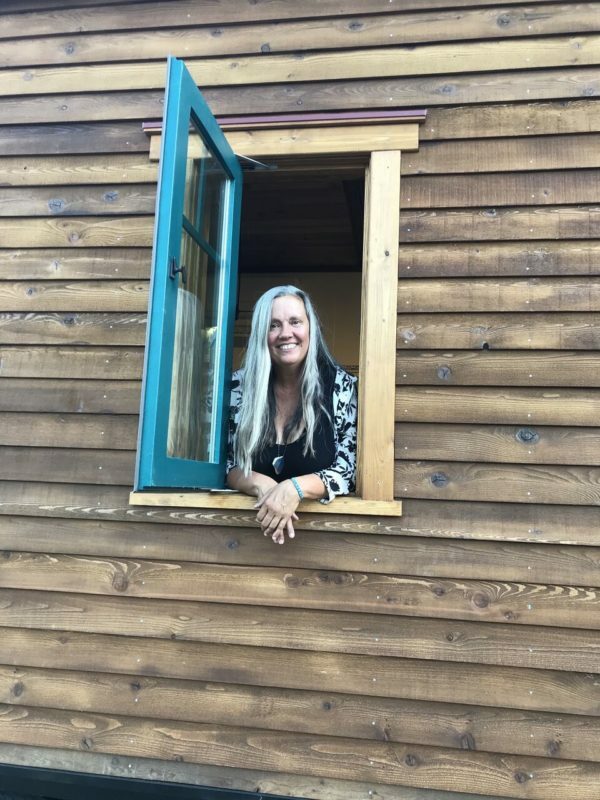 (Back in Nevada City.) Thanks to the resourceful and hardworking crew who put many long days into its construction. From left to right: Larry Beck, Dave Stokes, Brett Hall Jones, Preston Williams, Jim Seely, Mike McLeran, Dave Wills, Terry Honea, Hunter Jones, Lindsey Gordon (and Greta). Not pictured: Roofer Andy Roberts and finish carpenter Gene Mesick. 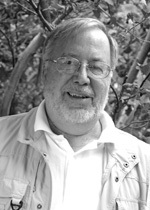 Thanks also to the following people for consulting on the project: Jim Seely, Lydia Seely, Steve Rempe, Julie Cobden, Gloria Novak, Robert Austin. 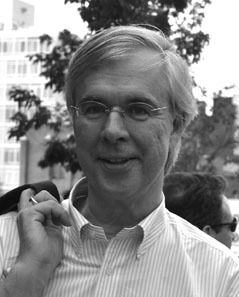 And to Louis B. Jones, who put up with a year’s worth of obsession, design consultation, and worries, and in the end contributed all the great ideas for its design. Every day Brett and Eva work here, getting ready for this summer’s workshops. The submissions are rolling in! 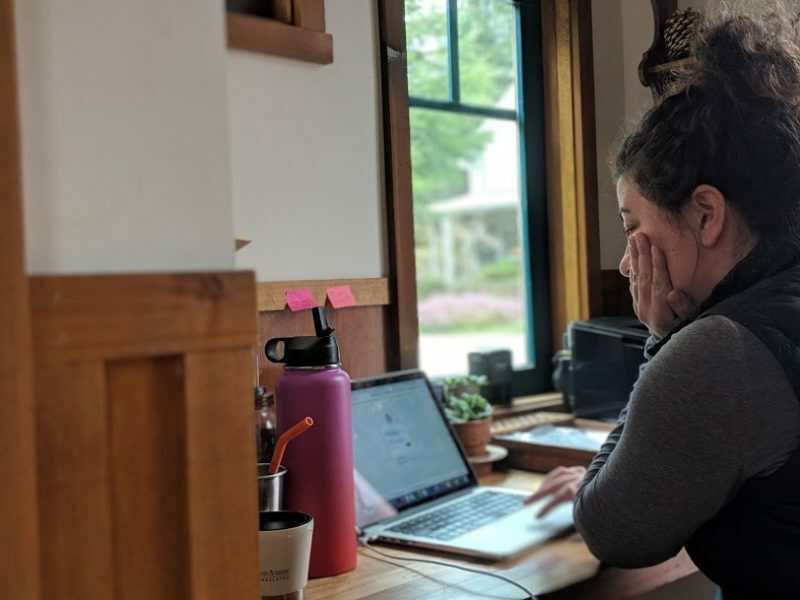 Eva managing submissions from her desk at the bow of the tiny house. The Community’s Dream Wagon, the rest of the year. A rent-free office. This is where we work. Felix likes it there in the shade of the pear tree. 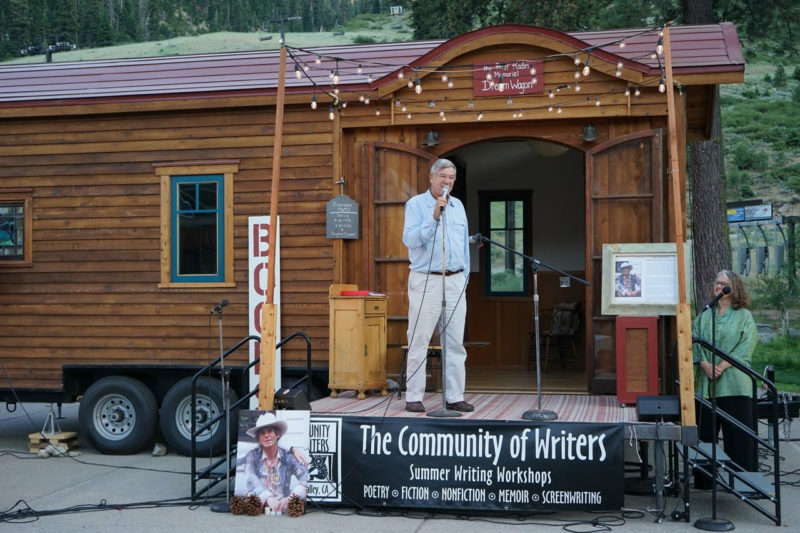 In June, we will move it back up to the Valley for another season of writing workshops. Thank you to everyone who donated to make this dream possible! And a big thank you to our wonderful Board of Directors for their constant guidance and support. Thank you to all who believed in this project and who helped to make it happen.